Everyone asks how it is with two kids. The truth is, Quinn is the easiest of the two. Lilla has been our little stinker as of late. She’s a great big sister to Quinn. However with the arrival of her little sister has also come the arrival of a little (rather big) thing called the temper tantrum. And man is she a master at throwing them. 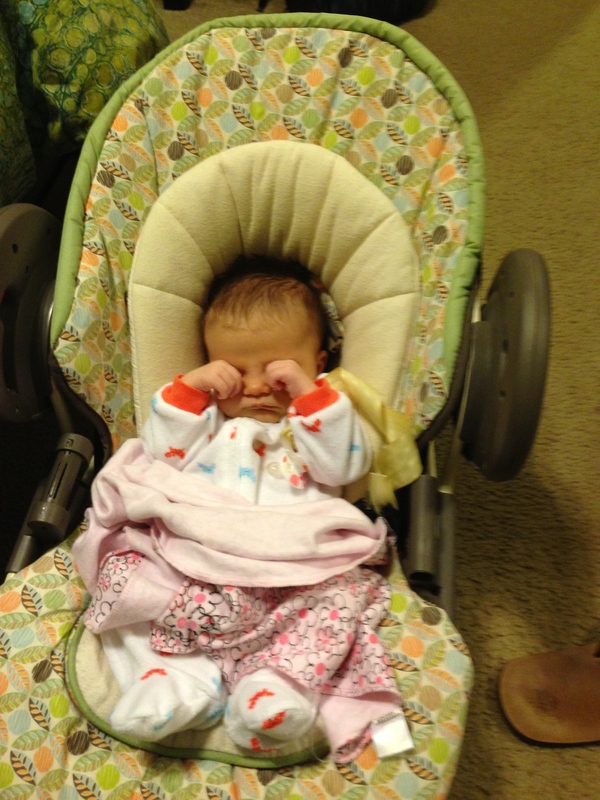 During one of her recent dramatic fits–I think she threw herself on the floor sobbing because we gave her the wrong cereal–I left the room only to find her sweet 6-week old sister sleeping like this. Mocking her older sister in her sleep. You can’t make this stuff up.